Although getting your Alabama learner's permit can be an exciting experience, it's also incredibly important to go through the process as safely and responsibly as possible. This is why the state of Alabama has implemented a Graduated Driver Licensing program (GDL). The GDL sets guidelines and milestones that teens must follow prior to getting their driver's license. If you're a new Alabama resident with a driver's permit from your previous state, you must still adhere to the state's GDL guidelines and follow all steps mentioned below. You cannot transfer your out-of-state permit. If you need more information, call the DPS at (334) 517-2800. Eligible for learner license (Stage I): 15 years old. Eligible for restricted license (Stage II): 16 years old WITH completion of Driver's Ed or behind-the-wheel training. 17 years old WITH holding a Stage II license. 18 years old WITHOUT holding a Stage II license. STAR IDs: Did You Know? You can choose to get a STAR ID permit now—which means when you apply for your restricted license, you've already submitted your required documents. Not sure you want a STAR ID? You can also apply for a regular learner's permit instead. The documents you're required to bring your local Alabama DPS office vary depending on your age and whether or not you want a STAR ID. Before you head out the door, make an appointment online with your local driver licensing office to save yourself some time! Choose your age below below for details. 17 years old or older WITH a valid driver's license for 6 months or longer. 16 years old or older who are married and considered the head of household. Legally relieved of minority status (the state or period of being below the legal age). An original or certified U.S. birth certificate. No photocopies. Social Security (e.g. a Social Security card). School enrollment or graduation (e.g. an Enrollment/Exclusion Form (Form DL1/93), GED certificate, certified letter from school officials, etc.). Enrollment in Driver's Ed, if you are 15 years old. Payment for the $5 learner's permit test fee and $36.25 license fee (no checks). Be ready for your written permit test and a vision screening (more on the permit test below!). Bring 2 documents of identification IF 1 document shows your photograph. Bring 3 documents of identification if you DO NOT have any photo identification. For either of the above, 1 document MUST be from the primary document list. The DPS provides a complete list of acceptable identity documents. Proof of school enrollment or graduation. You'll take your written permit exam at this time (see below for details) and also be asked to take a vision test. A vehicle that will pass inspection. Remember when heading to the Alabama Department of Public Safety (DPS), it's always a good idea to make an appointment ahead of time, so that the licensing agency is all ready for you when you arrive. Sharing the road and right-of-way rules. Once you pass your test (and you've handed over all of the required documents mentioned above), you'll receive your Alabama learner's permit! Next up—time to start practicing driving. 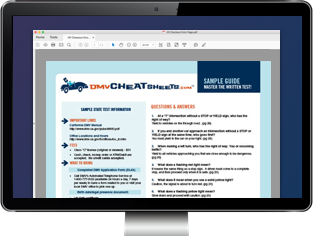 DMV.ORG TIP: Practice Makes Perfect! Don't leave it to chance—set yourself up for the best success possible by taking an online practice test before your permit exam! You'll get familiar with the format of the test, as well as learn areas where you need a bit of extra studying. Complete at least 50 hours of behind-the-wheel driving practice OR complete a state-approved Driver Education course. Submit a Graduated Driver License form (Form DL-31) signed by a parent/legal guardian or certified driving instructor verifying your driving hours. For more information please refer to our page on Driver’s Ed in Alabama. If you need to replace your learner's permit in Alabama, you'll need to visit the DPS in person and bring the documents mentioned above. The fee to replace your learner's permit is $36.25. For more information, please refer to our Replacing a Lost License in Alabama page. Once you're at least 16 years old, you've completed your 50 hours of behind-the-wheel practice OR your Driver's Ed course, and you've held your learner's permit for at least 6 months, it's time to head to the Alabama DPS for your road exam to get your provisional license. For more information, jump over to our Alabama Teen License page.